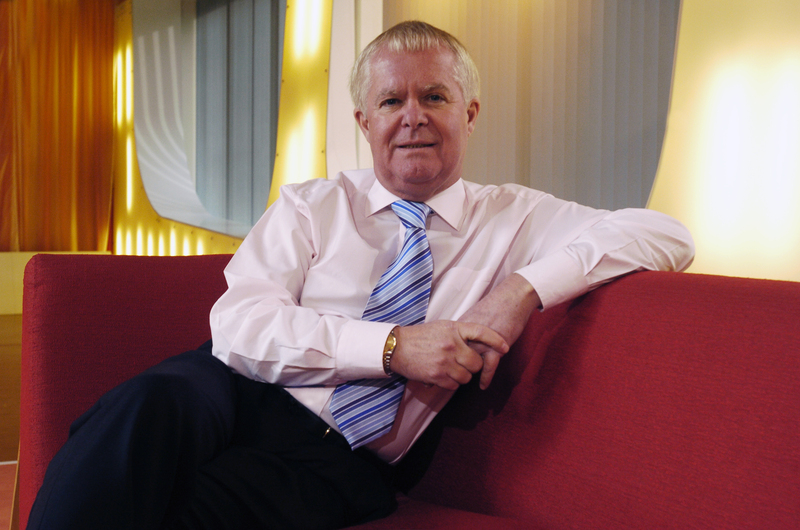 BROADCASTER Rhodri Williams is a powerful player in British television. The Wales Director of the broadcasting watchdog Ofcom spent much of last year as its Director of Government and Regulatory Affairs at the organisation’s London HQ. But he’s been accused of sabotage three times. 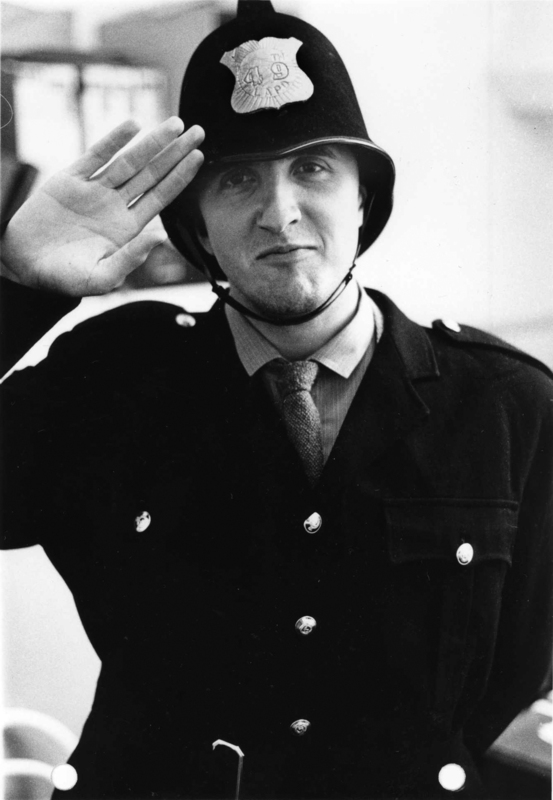 In the 1970s he was convicted of damaging a transmitter as part of a campaign for a Welsh television channel. He was gaoled for six months. A decade later he was sacked by the broadcaster HTV after it discovered he was plotting to take a valuable contract from the company. In 2001 Wales’ biggest independent TV production company dismissed him for dishonesty when he was caught diverting a valuable contract to a rival firm. A major figure in Welsh broadcasting — it’s widely believed that he applied for the positions of BBC Wales Director and chief executive of S4C in 2011. His attempts to become a media mogul have attracted criticism — in the 1990s, the Welsh language magazine Lol dubbed him “Rhodri Billions”. Photo: Ofcom. IN FEBRUARY 1977 Welsh language activists entered the compound of the television transmitter at Blaenplwyf near Aberystwyth in mid-Wales. Police arrested two members of Cymdeithas Yr Iaith Gymraeg — the Welsh language Society — which was campaigning for a dedicated Welsh language channel. They were the society’s chairman Wynfford James and Rhodri Williams, leader of its radio and television group. When they appeared in court to answer charges of conspiracy to damage the transmitter in July 1978, they refused to plea. At a second trial in November 1978 there were accusations that the jury had been deliberately selected to exclude Welsh-speakers. The two men were found guilty and sentenced to six months in gaol. They became heroes to language campaigners. The campaign eventually led to the launch of Sianel Pedwar Cymru (S4C) — the Welsh Fourth Channel — in 1982. By then Rhodri Williams’s career as a journalist had already begun. He was taken on as the Welsh language reporter by the radical magazine Rebecca in 1981 despite having no journalistic experience. While he was there, he met the graphic designer Siân Helen — the couple later married. Williams was with Rebecca less than a year when he was recruited by the newly created Welsh-language current affairs programme Y Byd Ar Bedwar — the World on Four. S4C wanted a world-class current affairs programme and decided to provide it with the budgets to match. S4C did not produce any programmes of its own. The BBC provided its Welsh language output without charge. But the remainder had to come from the private sector. Since there was little tradition of independent production in Wales, HTV had a virtual monopoly. Many observers felt that the contract HTV negotiated with S4C for the first seven years, which included the current affairs output, was extortionate. It allowed HTV to build a huge new headquarters complex on the outskirts of Cardiff at Culverhouse Cross. In 1989 the contract was coming up for renegotiation. A strong independent sector had sprung up to provide S4C with programmes and the channel was confident it would provide competition with HTV. It was politically sensitive, legally dangerous and all the experienced personnel worked either for the BBC or HTV. So HTV entered the negotiations for a new contract knowing that its margins were going to be squeezed everywhere except current affairs. Its bid to keep Y Byd Ar Bedwar was priced accordingly. What HTV managers didn’t know was that there was another, secret bid — and it came from inside the company. The rival bid had been prepared in secret. Rhodri Williams and Glynnog Davies, another journalist working on Y Byd Ar Bedwar, had teamed up with the accountant Ron Jones. Ron Jones had been a senior accountant for the world-wide accounting group Arthur Andersen but had decided to come home to Wales. They were joined by Gwynn Pritchard, the Channel 4 executive mainly responsible for relations with S4C. He obtained permission from the channel to join the bid. The group formed a partnership called Sylw — it means “Attention” in Welsh. Their bid was lower than HTV’s. Behind the scenes, rumours of the bid began to circulate. There were concerns that S4C’s head of programmes Euryn Ogwen Williams was a close friend of Rhodri Williams. Euryn Ogwen Williams, who is not related to Rhodri Williams, told Rebecca that he was impartial throughout the tendering process. There was also talk that some influential journalists were backing the Sylw bid. 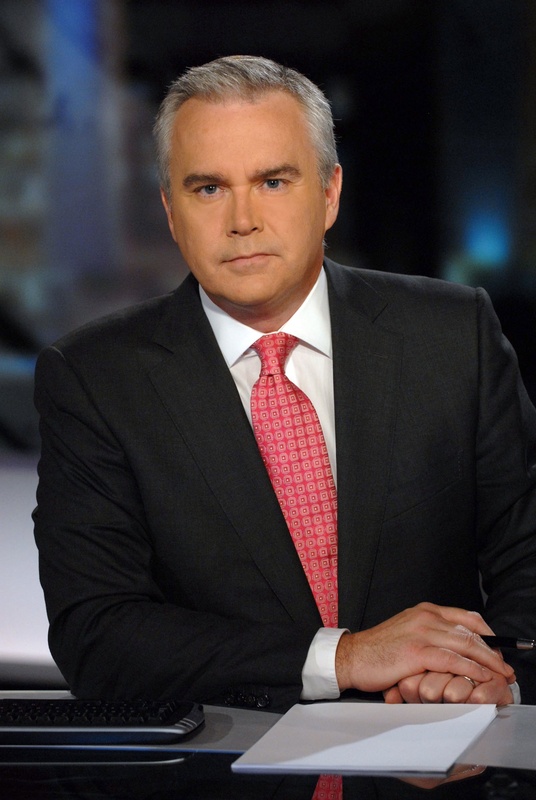 One of them was Huw Edwards — now the BBC’s leading UK newsreader but at the time working for BBC Wales. Huw Edwards declined to discuss the matter. But Rebecca has discovered that he was called before BBC Wales Controller Gareth Price who demanded to know if he was involved. Edwards admitted he’d met Rhodri Williams and his wife Siân Helen in London on several occasions to discuss the possibility of joining Sylw. But the negotiations petered out and Edwards told Price he never heard from the couple again. Another rumour concerned Guto Harri, also working for BBC Wales at the time. Harri is now Rupert Murdoch’s Communications Director at his troubled News International subsidiary. Before that he was Boris Johnson’s £127,000-a-year external affairs director. Harri also declined to comment. Rebecca understands that, when Guto Harri was asked at the time if he had been approached, he denied any contact with any of the Sylw group. Inevitably, HTV management learnt that two of its journalists were involved in the Sylw bid. Rhodri Williams was called before a hastily-convened disciplinary committee. Nicola Heywood Thomas, the shop steward of the National Union of Journalists branch at HTV, was told to attend the hearing. Rhodri Williams didn’t deny he was involved — and was instantly dismissed. Nicola Heywood-Thomas declined to discuss what happened. When his colleagues on Y Byd Ar Bedwar heard that he’d been a key player in the Sylw bid, they were shocked. HTV began lobbying fiercely against the Sylw bid. In the end, S4C decided that it was politically impossible to accept it even though it was lower than HTV’s. HTV was awarded the contract. Rhodri Williams was now out of a job but he went ahead and formed a partnership with Ron Jones and Glynnog Davies. Gwynn Pritchard withdrew from the group and remained with Channel 4. Over the next couple of months, Sylw gained several small commissions from S4C. Then, in 1990, it hit the jackpot. The company won the multi-million contract to produce a new S4C evening magazine programme. The programme was called Heno and a new company was formed — Agenda. The Welsh magazine Lol suggested that part of their success was the friendship that existed between Rhodri Williams and Euryn Ogwen Williams. S4C’s senior management was furious. They insisted that action be taken to deal with the claim that a senior channel executive had helped Agenda. Rhodri Williams, Ron Jones and Euryn Ogwen Williams sued Lol editor Eurig Wyn for libel. Rhodri Williams, Ron Jones and Euryn Ogwen Williams were each awarded several thousand pounds in damages. Euryn Ogwen Williams told Rebecca that Eurig Wyn was not asked to pay the damages. S4C did not ask for its legal costs to be refunded which left Eurig Wyn having to pay only his own legal bill. In the years that followed Rhodri Williams became a public figure. In 1996 he was appointed a £5,400-a-year member of the Welsh Language Board. Ron Jones had served as a member for the previous three years. In 1999 Williams was appointed chairman. The post paid £24,000 a year with a pension contribution of £5,000. Ron Jones says he understood the job carried with it a one day a week commitment and that Rhodri Williams’ Agenda salary was adjusted accordingly. It was only later, he claims, that he discovered that the post required two days a week. BY 2001 Agenda was a prosperous business — it’s main Jersey-based holding company was worth three-quarters of a million pounds. But Rhodri Williams, who had started out with 40 per cent of the business, now owned just 13 per cent of the Jersey company’s shares. With Ron Jones still holding 36 per cent, Williams’ influence was waning. He was a member of the main board but he worked selling the company’s e-learning and other IT-related products. Agenda had started to diversify and had targeted e-learning — education delivered remotely by computers — as a potential market. But Williams’ unit was not performing well and consistently failed to reach its targets. It was against this background, early in 2001, that Ron Jones was told that someone had tried to hack into password-protected areas of the company’s computer system in the early hours of the morning. Suspicion fell on Rhodri Williams but the investigation that followed was inconclusive. Security was tightened up. Later, an analysis was made of Rhodri Williams’ email account. This homed in on emails between him and Agenda’s head of sales Chris Thomas. This revealed that Williams and Thomas had been involved in a clandestine operation to divert a substantial contract from one of Agenda’s best customers — the giant Swiss banking firm UBS — to another company. Ron Jones considered this to be a serious breach of Williams’ duty to his company. The final straw came when Ron Jones was told that Williams had tried to bully a member of Agenda’s staff into giving him the password to a sensitive part of the company’s computer system. Ron Jones wrote to Williams and asked him to attend a disciplinary hearing. When Williams did not turn up, he was sacked for dishonesty. No compensation was paid. Also dismissed was Chris Thomas — head of sales at Agenda. Ron Jones says that in the year before he left, the e-learning division Williams was in charge of lost a million pounds. When the news of his dismissal leaked out, Rhodri Williams issued a statement: “I have been on the board of directors of Agenda since its formation. I am one of the founders of the company. For this article, Williams told Rebecca that he had not acted dishonestly at Agenda. The allegation was “defamatory and libellous,” he said. SEVEN DAYS after he was dismissed from Agenda, Rhodri Williams became a director of a new company called Learning Angles. Chris Thomas also became a director. The two men were joined by Agenda’s deputy chairman, Dr Gwyn Jones. Dr Jones did not tell Ron Jones that he had joined forces with the two men who had just been sacked. At the time Dr Gwyn Jones was a key player in Welsh public life. He had caught the eye of Margaret Thatcher back in the 1980s. The Porthmadog-born entrepreneur had gained a PhD from Essex University and built a moderately successful computer company. Thatcher appointed him chairman of the Welsh Development Agency in 1988. He was appointed national governor of BBC Wales in 1992. But his career declined after Labour came to power in 1997. His attempt to get a second five-year term as national governor of the BBC failed. Learning Angles remained an independent company for just 15 days. In October 2001 the Oxfordshire-based computer software firm RMR plc bought the newly formed business. RMR was the company which had gained the valuable UBS contract from Agenda, helped by Rhodri Williams and Chris Thomas. RMR had gained a Stock Exchange listing on the Alternative Investment Markets in 2000 when it raised £12 million. Even though Learning Angles had no assets and no trading record, RMR used 6 million of its shares — worth 6p each at the time — to buy the newly formed business. Dr Jones received £209,000 in shares for his slice of Learning Angles. Rhodri Williams and Chris Thomas were each allocated £75,000 worth of shares. Dr Jones and Chris Thomas joined the board, Dr Jones as a non-executive director with Chris Thomas as a full-time sales director. Rhodri Williams was appointed commercial director. In its press release announcing the purchase of Learning Angles, RMR made a remarkable admission. In other words, Rhodri Williams and Chris Thomas had started working for RMR in April 2001 — five months before they were dismissed from Agenda. Dr Jones was also clearly involved in the plot to take work from Agenda to RMR. RMR later submitted accounts which revealed that Chris Thomas was paid £8,000 for his work for RMR while he was employed by Agenda. Dr Gwyn Jones was paid £6,000. Since Rhodri Williams was not a director, the company did not have to state how much he was paid for his services. RMR was confident Learning Angles would help to turn around the company fortunes — in 2001 RMR lost £6.3 million. RMR’s main product was called Elevate, an e-learning package. One of those “blue chip” relationships was with UBS. If Learning Angles performed according to plan, added the statement, then the three founders would be entitled to an additional £750,000 in shares. Dr Gwyn Jones also persuaded the RMR board to commission research into how the company could break into the lucrative local government market. Dr Jones suggested that the Welsh firm Taro Consultancy would be ideal to carry out the project. Taro was owned by Huw Vaughan Thomas, former chief executive of Gwynedd and Denbighshire councils, and his wife Enid Rowlands. At the time Enid Rowlands was the chair of Welsh further education quango ELWa. Dr Jones approached Huw Vaughan Thomas who was happy to carry out the consultancy. But the alliance with Learning Angles was to prove an expensive folly for RMR. In the five months that followed the purchase, the Learning Angles business generated no sales. In March 2002 there was a crisis meeting of RMR’s board. It decided to close the Learning Angles section — and demanded the resignations of Dr Jones and Chris Thomas. Rhodri Williams agreed to give back his shares and was made redundant. At the same time, Huw Vaughan Thomas also disposed of his shareholding. Thomas was appointed the head of the Wales Audit Office in 2010. The Learning Angles adventure cost RMR a million pounds. In 2002 it lost another £6.3 million and it was later taken over. Rhodri Williams started his public career in 1996 when he was appointed a member of the Welsh Language Board, becoming its chairman in 1999. In the period 1996-2004 he would take home a total of more than £180,000 in fees and pension contributions. The disaster left Rhodri Williams with the prospect of just having one job to his name, the £26,000-a-year chairmanship of the Welsh Language Board. BUT WITHIN a few months, he had another. Afan was a television producer who had built up the independent production company Avanti on the back of music programming for S4C and ITV Wales. In September 2000 he opened a new studio complex in an old lemonade factory at Porth in the Rhondda. He called it the Pop Factory. He persuaded Tom Jones, born in nearby Treforest, to open the premises in exchange for one per cent of the company. The following year Avanti was named Welsh Innovation and Entrepreneurial company of the year. His wife, Mair, had earlier been voted top woman of the year in Welsh media. 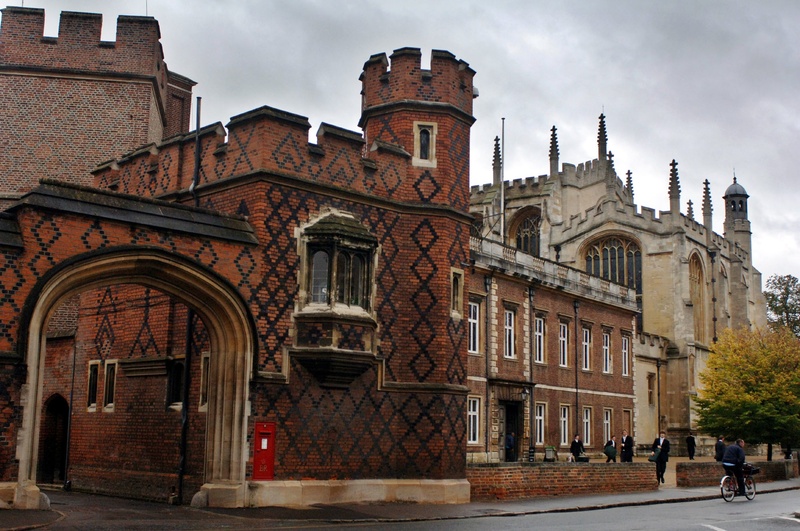 Later that year Avanti began negotiations for a multi-million pound training grant from the higher education quango ELWa, chaired by Enid Rowlands. In late November 2001 ELWa discovered it was facing a massive underspend of some £14 million. The board of the quango agreed there was an urgent need to find schemes to soak up the money before the end of the financial year in April 2002. By December 2001 officials had come up with a list of projects. One of the biggest was a £4 million scheme cobbled together by Avanti to create a Pop Café as the basis of a novel training scheme. The scheme was given ministerial approval in January 2002. In February 2002 Rhodri Williams went to the Pop Factory for the launch of the Welsh Assembly Government’s new culture strategy. He was a guest of culture minister Jenny Randerson. In March ELWa gave Avanti a cheque for £4 million. In April Rhodri Williams — by now sacked by RMR — was offered a part-time job by Emyr Afan. Afan said Avanti needed “capable management”. Williams started work in May but, a month later, he was full-time. “He has two roles – selling factual programmes (enjoying mixed success, because the market’s tough) and concerned with the delivery of the ELWa contract”. But the ELWa contract turned sour. When Avanti announced redundancies in November 2002, ELWa’s internal audit began an investigation into what was happening with the Pop Café project. In February and May 2003 the BBC Wales current affairs series Week In Week Out produced critical programmes on the contract. The National Audit Office followed up with a damning report. Eventually, Avanti handed back roughly half of the money. But Welsh taxpayers had nothing to show for the £2 million that disappeared into Avanti’s coffers. By May 2003 the ITV Wales current affairs programme Wales This Week was also preparing a programme. Wales This Week producer Paddy French — now editor of Rebecca — had approached Agenda boss Ron Jones back in 2001 to see if he would talk about the reasons why he had sacked Rhodri Williams. He wouldn’t discuss the matter at that time. When French approached him in 2003, after it was revealed that Rhdori Williams had joined Avanti, Jones’ attitude had changed. He was not only prepared to talk — he was willing to do it on camera. The interview took place at the Llanelli studios of Agenda — which had recently changed its name to Tinopolis. “It was probably the most dramatic I carried out in the ten years I worked for Wales This Week,” French said. But this interview was never broadcast at the time — as the article A Licence to Censor reveals. IN DECEMBER 2003 it was announced that Rhodri Williams had been appointed Wales Director of the new broadcasting regulator Ofcom. His pay was between £80 and £110,000 a year. In April 1998 Williams had joined the Labour Party, less than a year after Labour won the 1997 general election. 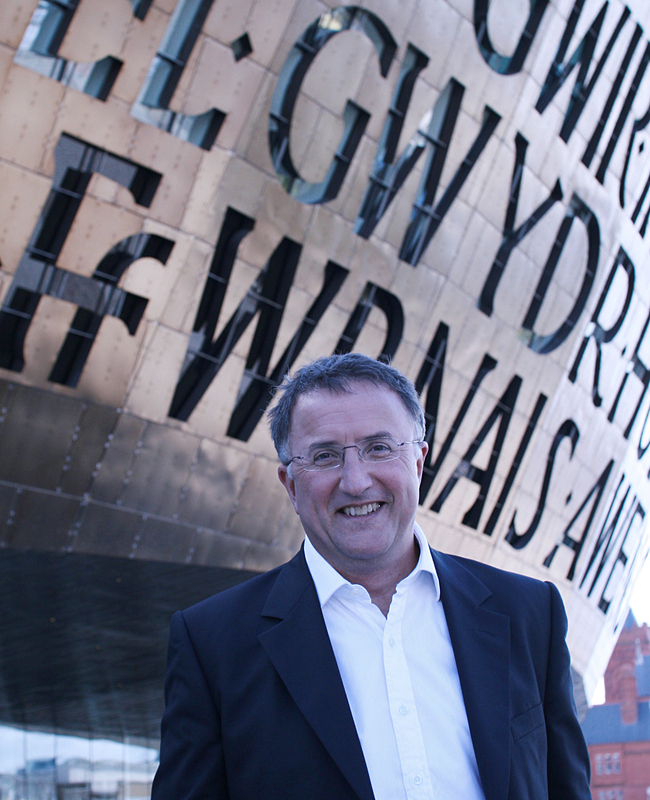 In 1999 the Labour-dominated Welsh Assembly Government appointed him chairman of the Welsh Language Board. With it came the £24,000-a-year salary and £5,000 in pension rights for the two days a week commitment. But Williams’ Labour Party connections stretch far beyond Wales. His wife Siân Helen is a close friend of Delyth Evans, an important New Labour high-flyer. Delyth Evans started her career as a journalist and worked for the BBC Radio programmes PM and The World at One. She joined the Labour Party in 1984 and became an assistant to Gordon Brown in 1992. She also acted as a policy adviser and speechwriter to Labour Leader John Smith until his sudden death in 1994. In 2000 she became a member of the Welsh Assembly and, shortly after, was appointed deputy minister for Rural Affairs. Culture and the Environment. She didn’t stand in the 2003 elections. Evans is the partner of Ed Richards, another key New Labour figure. Richards also worked for Gordon Brown in the early 1990s and, after a spell as the BBC’s Controller of Corporate Strategy, joined Tony Blair as a media policy adviser. Richards helped draft the bill that brought Ofcom into being. He joined Ofcom as number two when it launched in 2004. In 2005 he became the organisation’s chief executive. He was not involved in the appointment of Rhodri Williams to the post of Wales Director. Rhodri Williams said that he and his wife’s friendship with Ed Richards and Delyth Evans played no part in his appointment. When he was appointed to the Ofcom post, Williams was still the chair of the Welsh Language Board. He held the post for another eight months. Rebecca asked the Welsh Language Board if Rhodri Williams surrendered any of his salary during those months. It told us he did not. It also confirmed that he was also paid his pension contribution for that period. In addition to his Ofcom salary of between £80,000 and £110,000-a-year, he took home a further £24,000 in fees and pension contributions from the Welsh Language Board. Ofcom told us that Rhodri Williams had informed the organisation of his chairmanship of the Welsh Language Board and that his salary was not reduced. “For a temporary period of time he worked seven days a week in order to honour his commitment to the Welsh Language Board,” a spokesman said. Rhodri Williams did both jobs until he finally resigned from the Welsh Language Board at the end of August 2004. Ofcom chief executive Ed Richards currently has a second job — non-executive director of Thames Water Utilities — but he does the job in his normal working week and gives all of the £42,000 a year payment to Ofcom. 1 This article was amended on 1 September 2013. Originally, it contained quotes taken from the censored 2003 interview with Ron Jones. However, ITV lawyers have insisted that these quotes be removed. The thrust of the article remains unchanged. 2 Rebecca editor Paddy French has declared a personal interest in this issue: the details are revealed in the article A Licence To Censor. 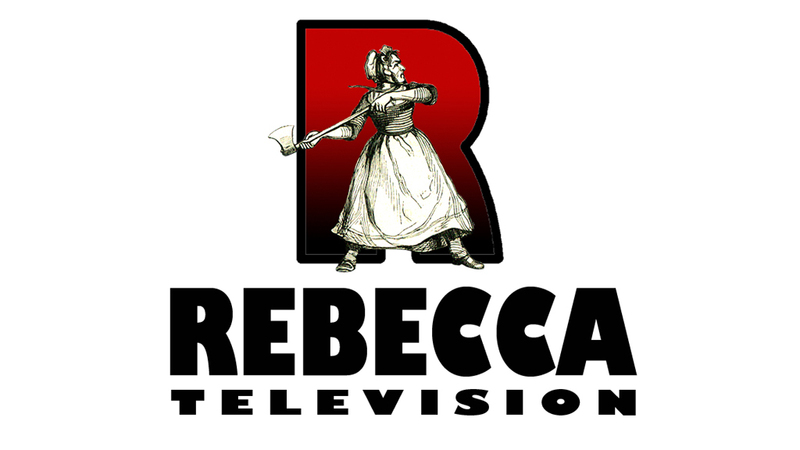 3 A version of this article was published on the old Rebecca website last year. THE FULL story behind the factors which led to the current Swansea measles epidemic has not been told. In the article Rash Journalism, Rebecca examines the role of the city’s Evening Post in causing the outbreak. The investigation found misguided journalism and confused thinking plagued the paper’s campaign in support of local families claiming the combined measles, mumps and rubella vaccine damaged their children. This entry was posted on Wednesday, May 22nd, 2013 at 8:28 pm and is filed under British Media. You can follow any responses to this entry through the RSS 2.0 feed. You can leave a response, or trackback from your own site. 7 Responses to A MAN OF CONVICTION? The IWA seems to be running a series on the Welsh media industry at the moment. I think that Paddy French should write an article for them to show the seedy side of the industry. Great scoop. As a native Welsh speaker, I always wondered why S4C foundered in the end. No doubt the sheer arrogance of the ‘cyfryngis’ and their ambition being greater than their sense of genuine dedication to the country was the real cause. As you stated in the above article, over a decade ago, the ill-fated ELWa (Education and Learning Wales), a quango subsidiary of the Welsh Assembly Government (WAG), awarded £4 million of European Commission money to Avanti TV’s subsidiary company Learn to Live Ltd. After an outcry when it was discovered that no café had materialised and not one young person had been trained, Avanti TV repaid £2 million to WAG. The remaining £2 million has never been accounted for, despite this issue having been referred to the European Commission in 2008 for a forensic audit according to a WAG spokesperson in a “Week in week out” special. In 2010 it was revealed in a Freedom of Information Act request that the matter had not in fact been notified to the Commission by the WAG, so no investigation was ever made into the outstanding £2 million payment made by ELWa to Learn to Live Ltd.
What happened to the money? Has the issue been kicked into the long grass?